Who know the producer, brand of these yellow lady? So they do only copies as far I know. Scaled down from an bigger size? Do you know an original (bigger size) maybe? I was looking for Peter's unknown Zulu on Hugh Walter's "Small Scale World"; I didn't find it, but I did find another figure I remebered someone here looking for. 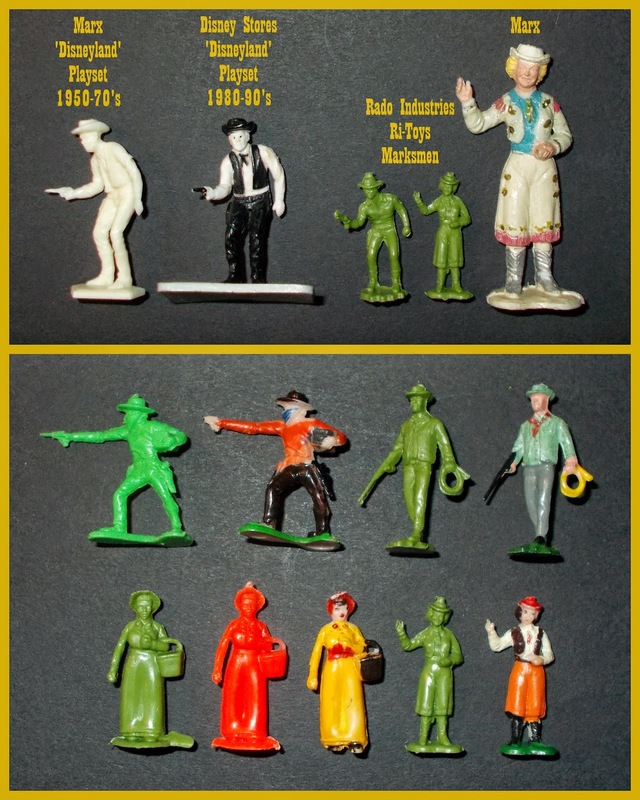 Seems to be a Marx original reproduced in smaller scale by Rado Industries, Ri Toys, or Marksmen. I read your post for Peters unknown Zulu and thought myself, Grame rember my post ! Hey nice ! Yes you find the right link. Now I can sleep so much better !